The concept of Public Bicycle Systems is not a new one — they’ve been around in various incarnations since the 1960s, before this author was born. 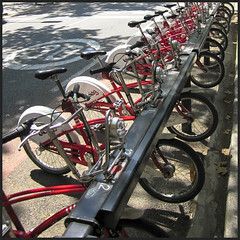 But there was a tipping point around 2005: the sophistication and expansion of bike sharing worldwide saw a once-anarchist movement transformed into a mainstream mode of transportation in many of the globe’s largest and most livable cities. 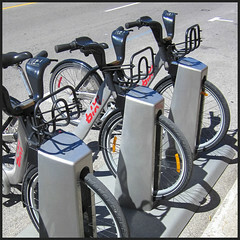 Whether called bicycle sharing systems or schemes, public or public-use bicycles, shared or self-service bikes, or any other combination of these recurring words, they all amount to a collection of bicycles that are available to the general public for getting from one destination to another, on routes and at times of one’s own choosing. 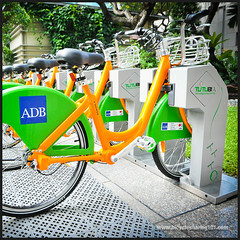 My intention with this book is to provide a pathway from conceptualization to implementation of a PBS: how do you take the concept of bicycle sharing, apply it to the specific needs of your locale, and get to enjoy that first actual ride? In amongst all the various facts, figures and comparisons that are available, what I believe is lacking is a clear and simple outline that combines advice on developing a robust physical design with a well-developed operational and financial plan that can navigate the diverse political landscapes that are the reality in all of our communities. What this book is not is a resource filled with facts and figures about each PBS and how it came into being. While the footnotes are intended to be more descriptive and supportive without bogging the reader down, information on what has happened in the past is readily available. How to make it happen in the future is the goal of this book. 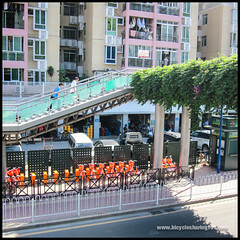 If you know a lot about bicycle sharing, I hope these chapters will fine-tune your skills. If you don’t know much, or anything at all, for that matter, I hope this book does not bore you to death with too much detail. If you are looking for some of those facts, figures and comparisons, you’re at the right place. Each chapter in the book is linked to a page on this site in which I aim to continue to add up-to-date data resources as well as photographs that illustrate each aspect. Please choose the chapter from the dropdown menu above. I invite you too to add your own voice in order to shape the body of knowledge accumulated there, and have created a page for peer review of each chapter. 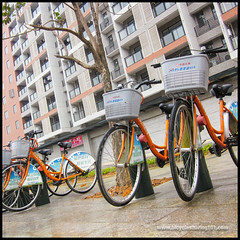 Finally, in the true spirit of the concept of bicycle sharing, the information on this site is public and free for the sharing, as long as you give all due credit. Want the book? Get it here. 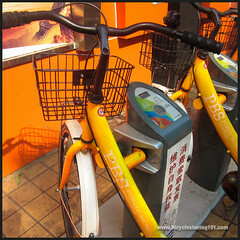 In France, where the tipping point occurred, the key words describing such systems are “Cyclocity,” the term coined and trademarked by JCDecaux, and “Vélo à la Carte,” the term developed by Clear Channel for the service it opened in Rennes in June 1998.